He's a multi-talented MP, that's for sure. Our Deputy Prime Minister has really demonstrated his versatility recently. Not only does Barnaby Joyce get fired up about all things policy and Labor backbenchers, but he also has a range of hidden talents that he is slowly filtering though to public knowledge. He has already exposed his passion for combating the evils of caaaaaarp and his weather reading skills, and now we can add whip cracking to a seemingly ever-growing list of Barnaby brilliance. 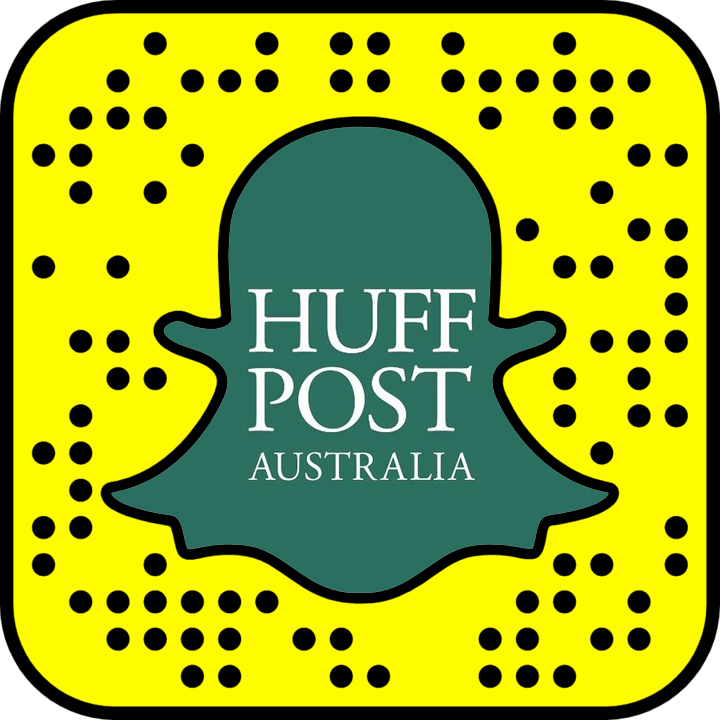 At the Mid-Winter Ball in Canberra on Wednesday evening, Joyce arrived dressed in a black suit and bow-tie. His signature akubra and a stock-whip completed his look. 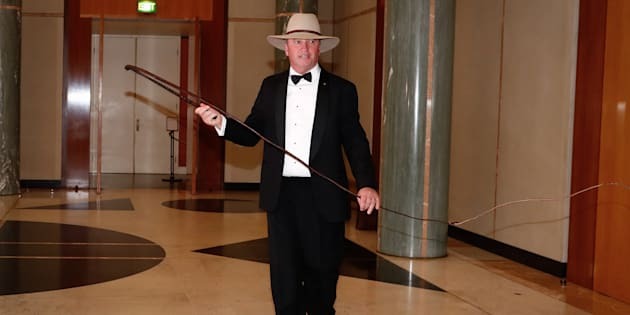 Joyce took a few moments to crack the whip in the foyer of Parliament House before the official event got underway. No word yet on whether Joyce is going to capitalise on one of his many talents and become a stockman or join the media. What is certain however, is that Barnaby is full of surprises.